The Fort Lauderdale Real Estate market has seen months of sales increases. As we enter a new Fort Lauderdale real estate market , a more balanced one, certain quality buildings will stand out. This beautiful landmark is La Rive. 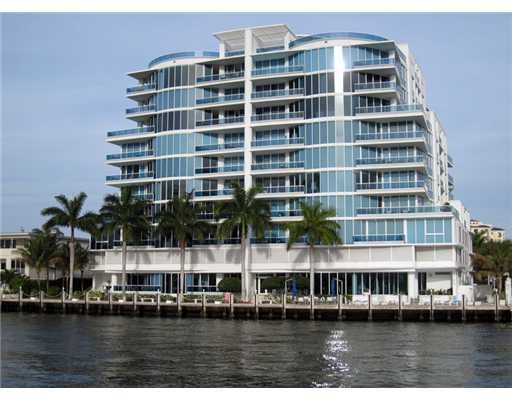 Read more about La Rive Condos in Fort Lauderdale, Florida. Built in 2004 on a prime piece of intracoastal front property La Rive is a contemporary masterpiece. With large balconies and expansive glass many units boast broad open views of intracoastal. The waterside pool and healthclub give the impression of a 5 star resort, that you will only have to share with a few neighbors. The building is only 36 units, with some units over 4000 sq. feet. At Eric Miller and Associates, "We're here to help" with your next La Rive Condominium purchase or sale. Contact us directly at (954) 383-8170.